Wattstopper Low temperature occupancy sensor in beige color, features passive infrared technology. It has sensing distance of up to 2000-Sq-ft. This sensor requires 24-Volt DC voltage and 20-Milli-Amps current for operation. It is suitable for cold storage rooms, freezers and unconditioned spaces. This sensor has response time of 15 secs, 5 mins or 10 mins. It measures 3.94-Inch x 3.74-Inch x 2.36-Inch. Water-tight enclosure of this sensor prevents moisture and dust. 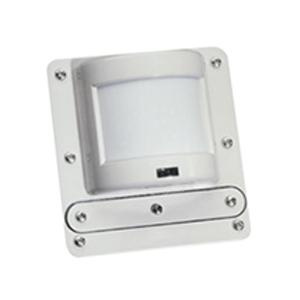 This wall mountable sensor operates at temperature of -40 to 35 deg C. Sensor is UL/cUL listed and RoHS compliant.